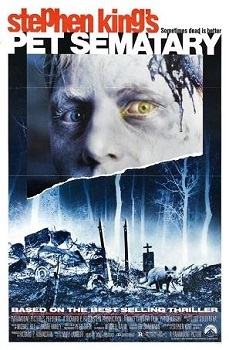 Pet Sematary was released on April 21st, 1989. 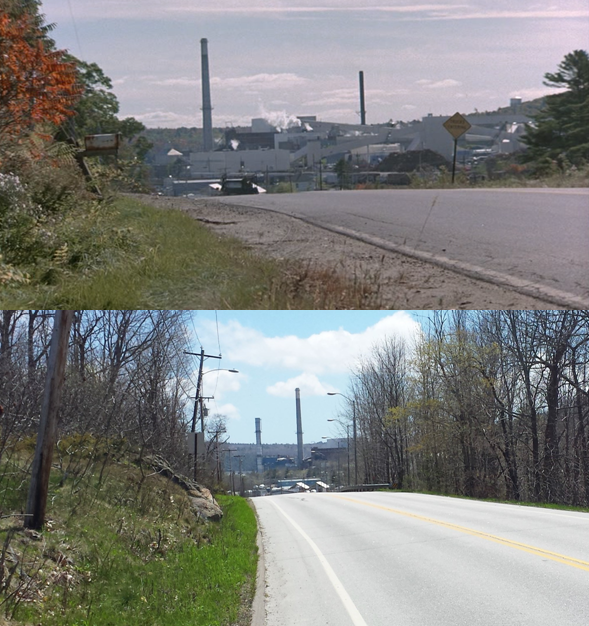 Filming locations include Bangor, Bucksport, Ellsworth, Hancock, Mt. 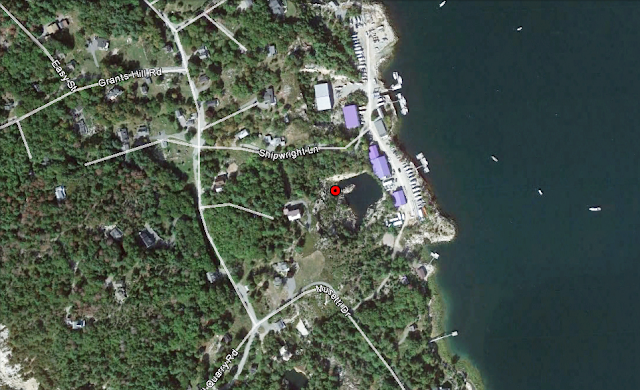 Desert, N. Hampden, Seal Harbor and Sedgwick, Me. 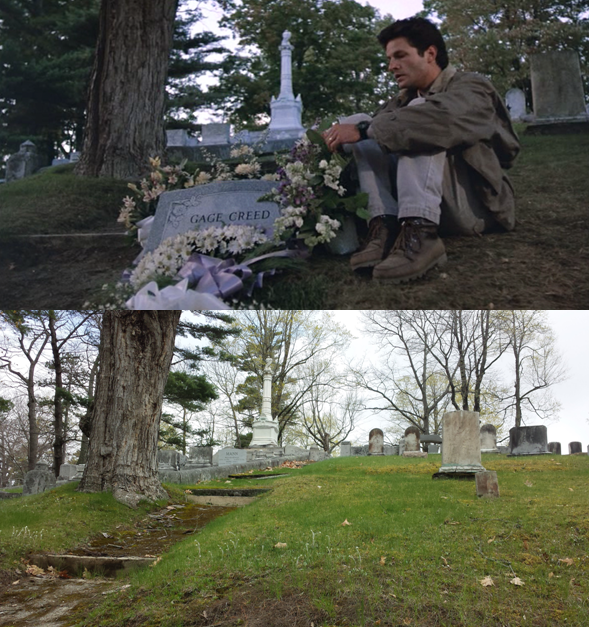 Filming ran from September 15th, 1988 to November 11th, 1988. 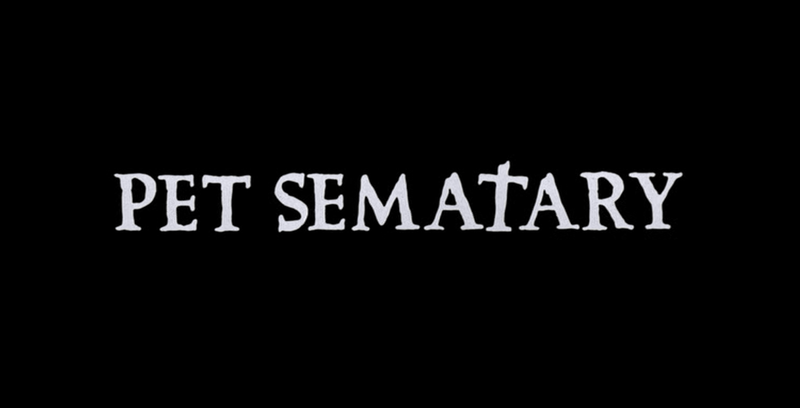 It was directed by Mart Lambert, who would go on to direct the sequel three years later as well. She also directed Tales From the Crypt season one episode Collection Complete, as well as a ton of music videos in the 80's and 90's for artists like Bobby Brown, Janet Jackson, Madonna, Motley Crue, Rod Stewart and Sting. The part of Jud Crandall was played by Fred Gwynne, who was best known for his character, Herman Munster, in the popular 60's television show The Munsters. The film introduced us to one of the creepiest, nightmare inducing characters in horror movie history in that of Rachel's sister, Zelda Goldman. Play impeccably by actor Andrew Hubatsek. The semi truck used in the film was a custom Peterbilt 378. 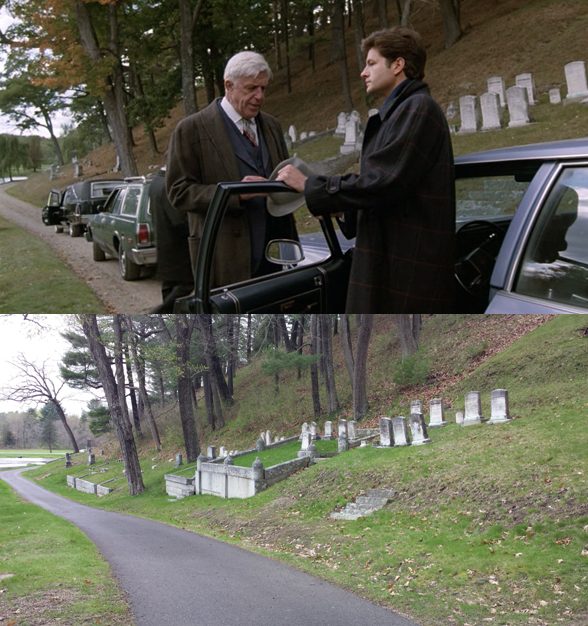 Stephen King makes a cameo as a the minister at Missy's funeral. The films score was written and composed by Elliot Goldenthal. The film features two songs by The Ramones, Pet Sematary, and Sheena is a Punk Rocker. The films first DVD release came in 1999. The house was built at some point prior to 1956. The tree that Ellie swings from originally wasn't at the house. 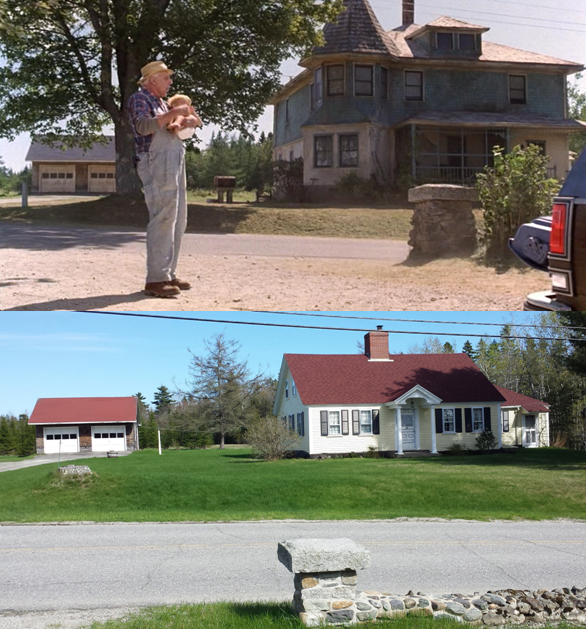 The production had been looking for a house with a tree that suited their needs, however when they were unable to find one they settled on a house, dug the tree from a field and had it planted in the yard, as seen in the film. 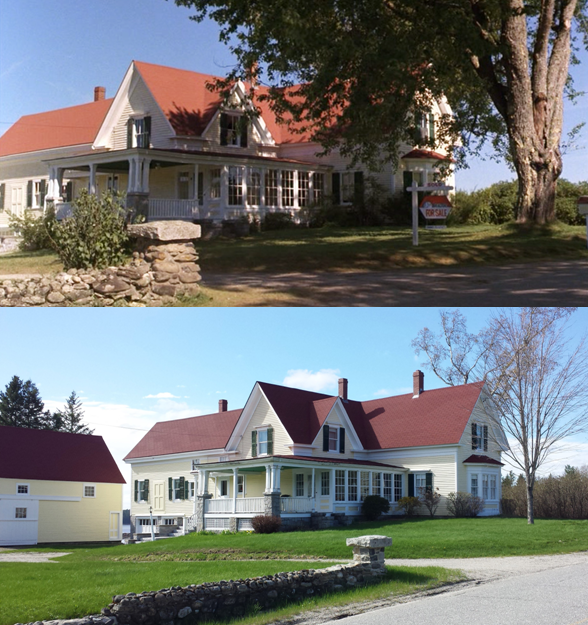 The owners of the house liked the tree and kept it there until it died some years later, they then had it removed. Currently, it's just a bare spot. 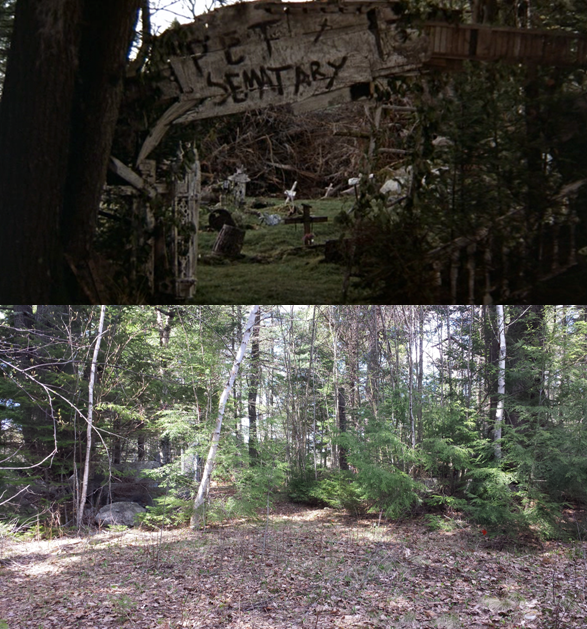 The path that started at the yards edge leading to the Pet Sematary, was constructed for the film. 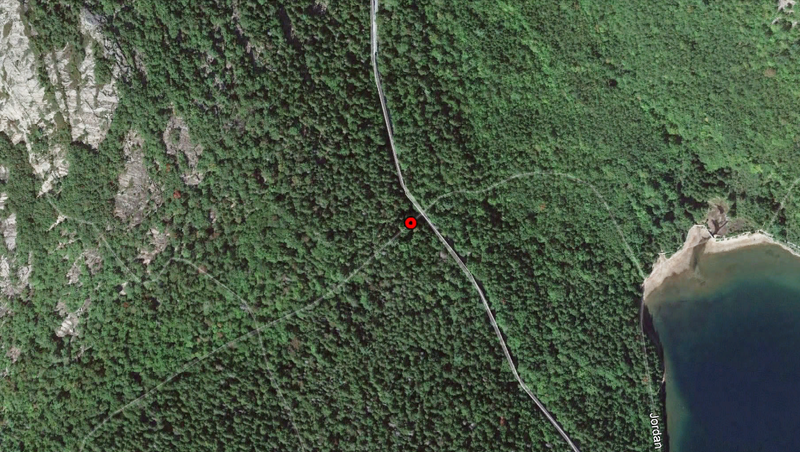 It stopped at the bottom of the hill, right where the woods start. 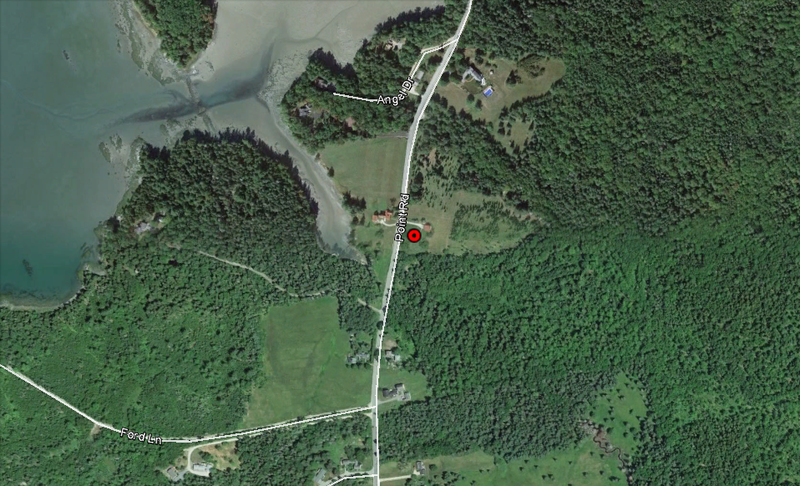 If you were to keep walking down into the woods you'd come to a creek that eventually feeds in Youngs Bay. 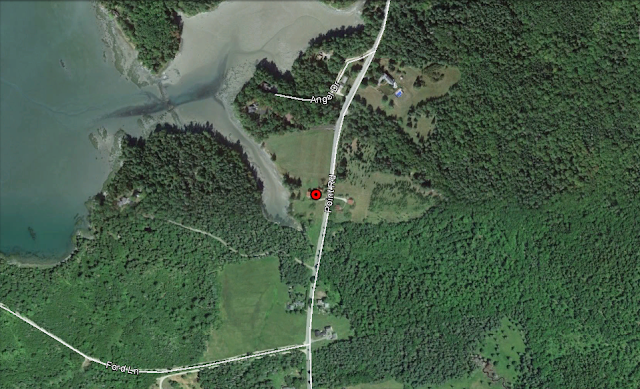 The actual spot used for the Pet Sematary sits ten miles away in Ellsworth. 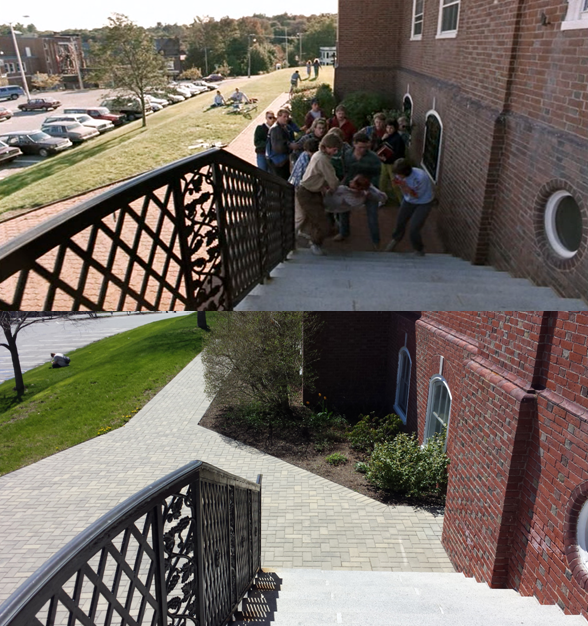 All "Now" pictures taken in 2017. 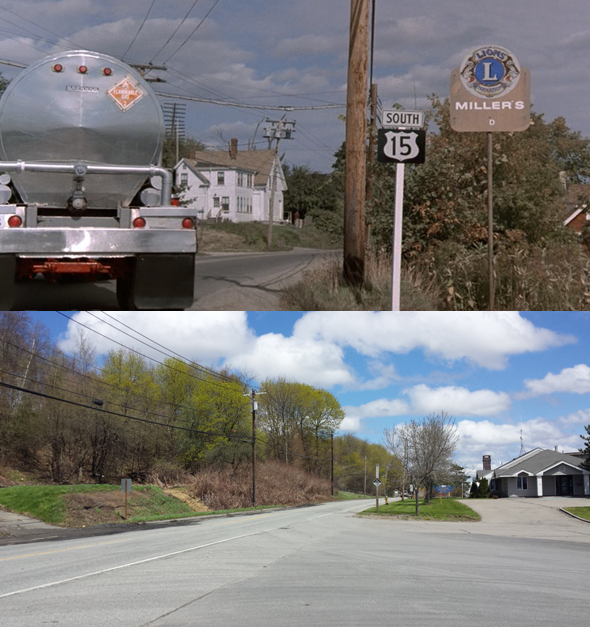 Located directly across the street from the Creed house, just as it's depicted in the film, the house and garage have also been there since at least 1956. 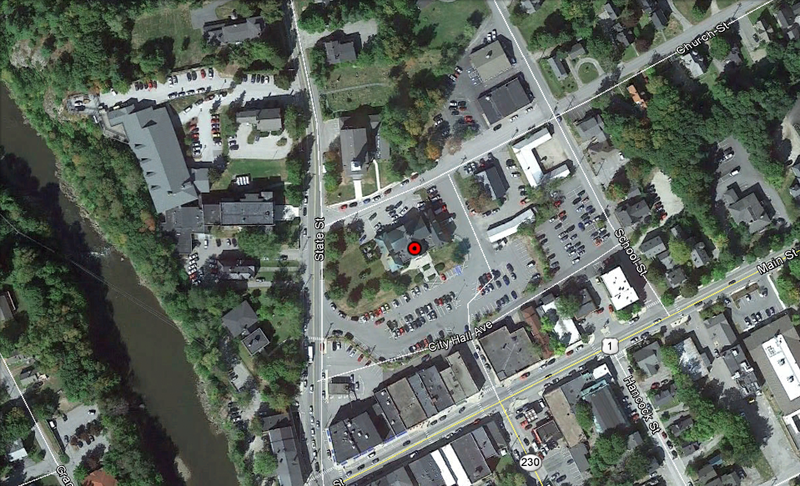 The exterior of Jud's house was just a fascade built over the existing house that was there. The production had designed it so that when Jud's house burnt down, the actual house inside would not be damaged. 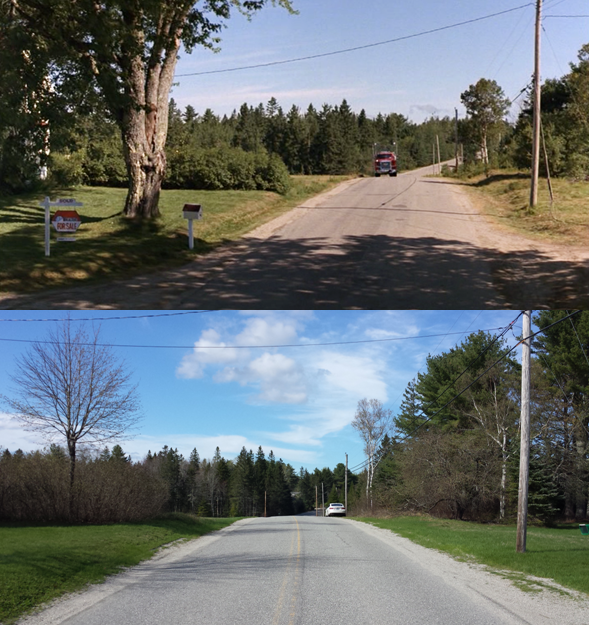 Also, the large tree in the front yard of the house was cut down around 2013. 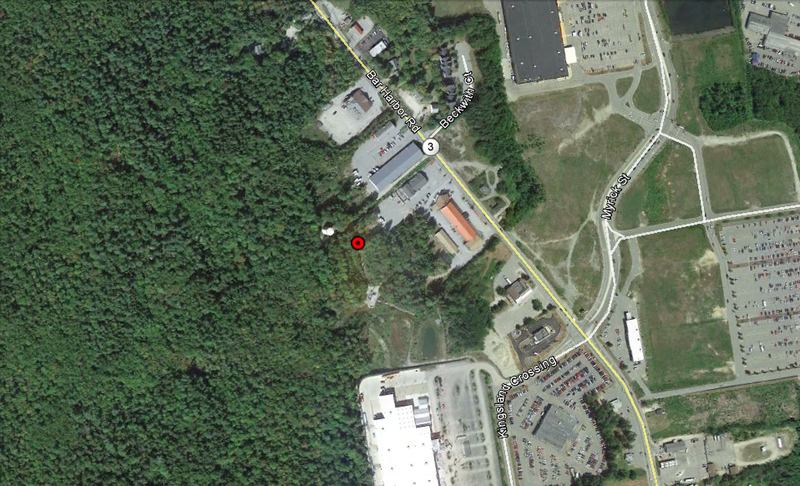 Hidden behind an Elks lodge and an appliance store at the woods edge is definitely not where I envisioned the Pet Sematary would be, prior to visiting the location in 2017. 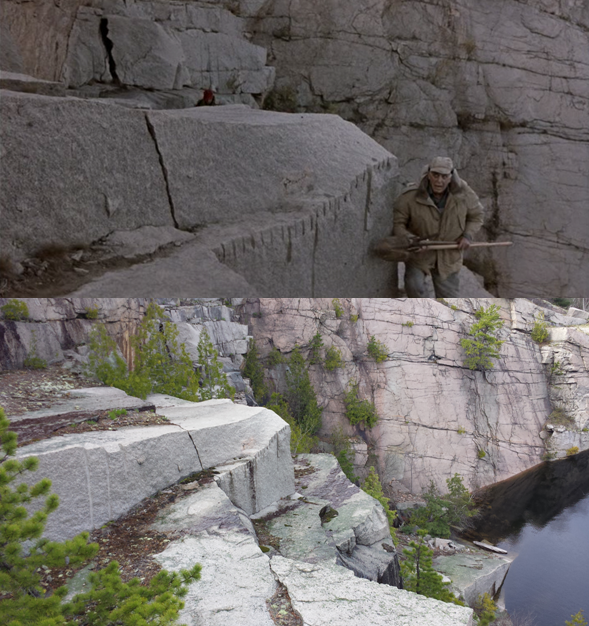 But there it was, some aspects of the location were undeniable, like the boulders that were at each end of the deadfall and even one of the fourteen tree roots used in the film. Without those remains though, I can honestly say that the location would be completely unrecognizable from the one seen on film. 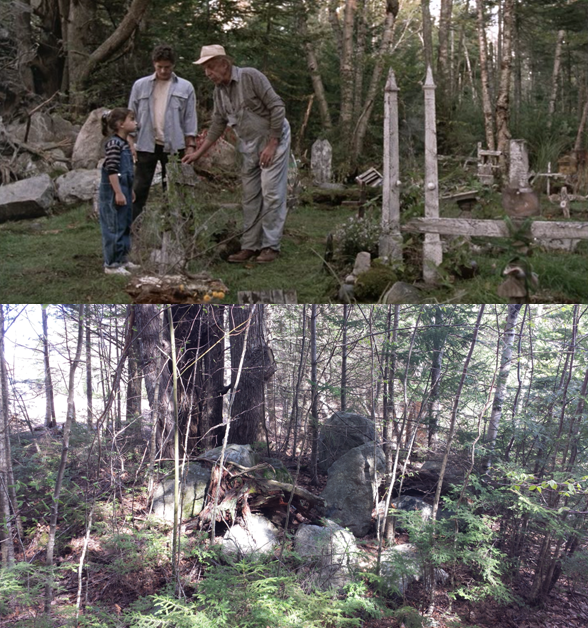 A lot of set dressing was done to transform this very ordinary spot into what everyone would come to know as the "Pet Sematary". Designed by architect Edmund Gilchrist, the city hall was constructed in 1934 after a fire destroyed the old city hall and part of the town's business district. The building was listed on the National Register of Historic Places on January 10th, 1986. The location was used as a stand-in for the real University of Maine. 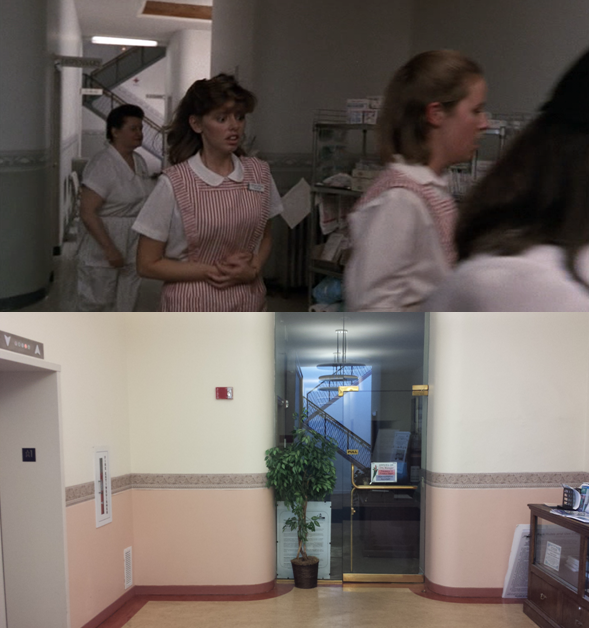 The city allowed the production to dress up two of the buildings offices as hospital rooms. 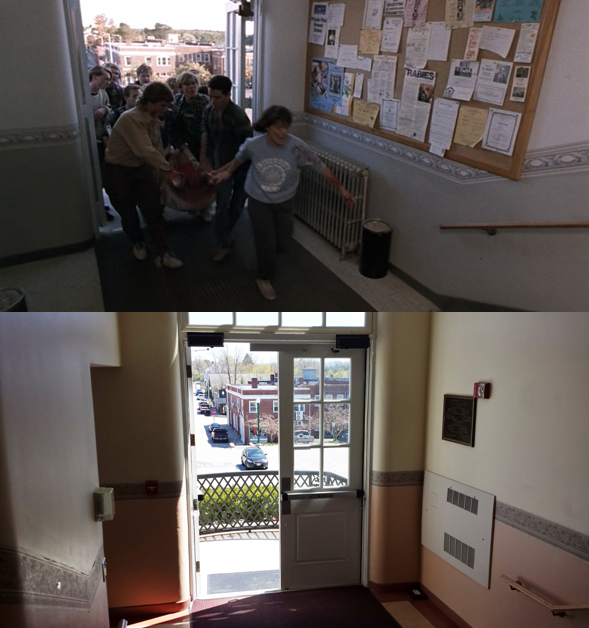 When the students first carry Victor Pascow in, there's a bulletin board on the wall with a flyer attached that reads "Rabies" along with a picture of a St. Bernard, referencing Stephen King's "Cujo" which was released six years earlier. 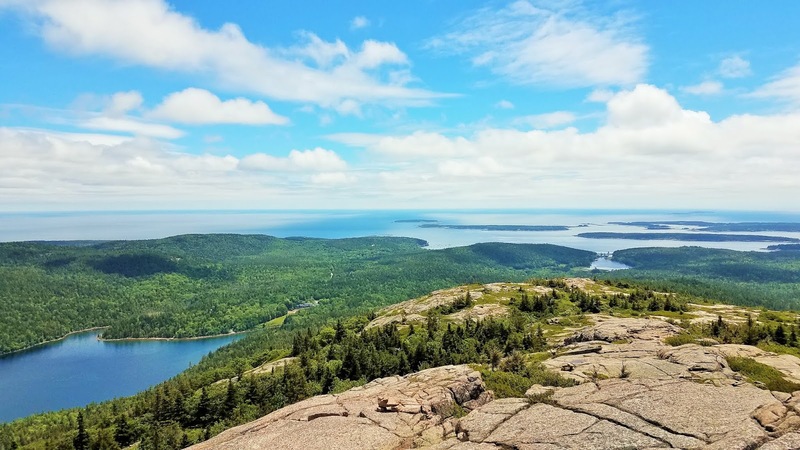 First off, for anyone who's never been to Acadia National Park, it's an outdoors person's dream come true. It features vast wilderness comprised of forests, lakes, mountains, hiking trails, swimming (Summertime) and the Atlantic Ocean. 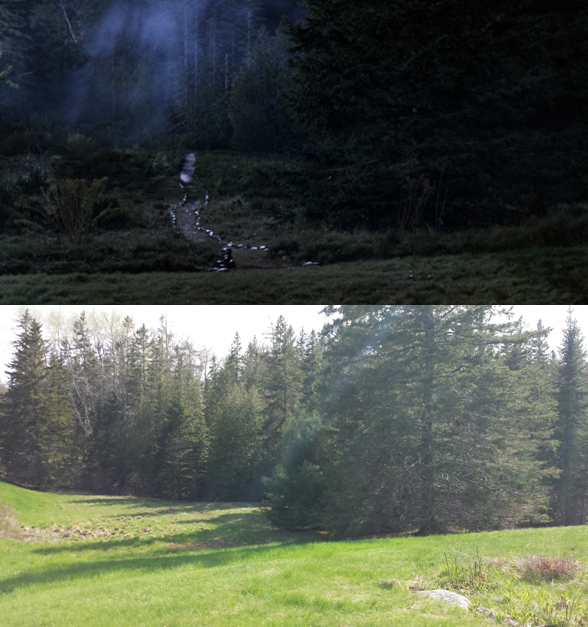 The particular scene where Louis and Jud are making their way to the Micmac burial ground via a heavily rooted trail was filmed along the Deer Brook Trail, just above the Deer Brook Bridge, near Jordan Pond. 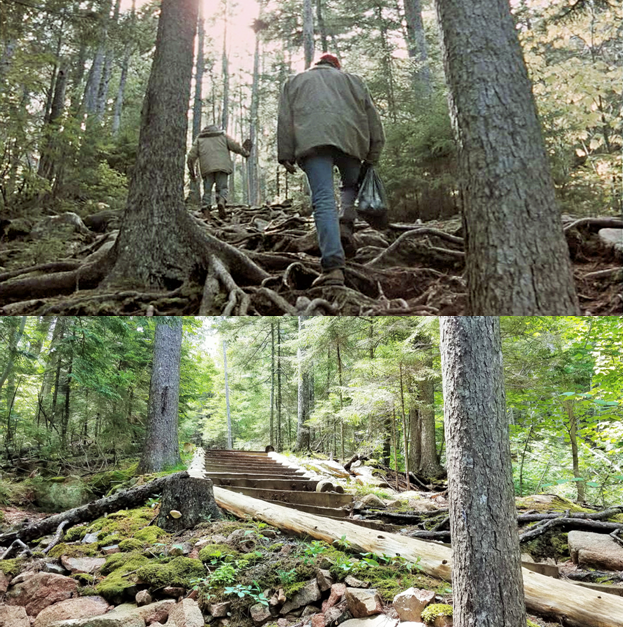 In 2017, the park installed wooden steps along this portion of the trail due to erosion. For anyone who may wish to continue up the 2.5 mile (round trip) trail, past the portion that was used for filming, they'd be rewarded with an astonishing view atop Pensobscot Mountain. The granite quarry is one of four located in Mt. Desert. 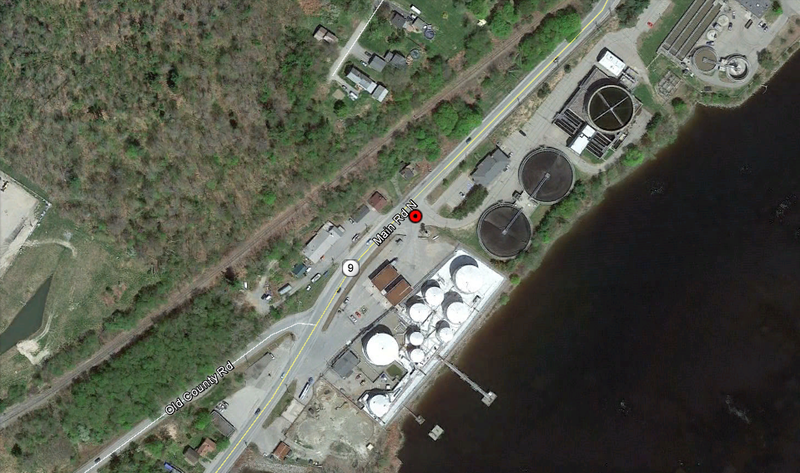 The other three being Campbell & Macomber Quarry, Hall Quarry and Snowflake Quarry. 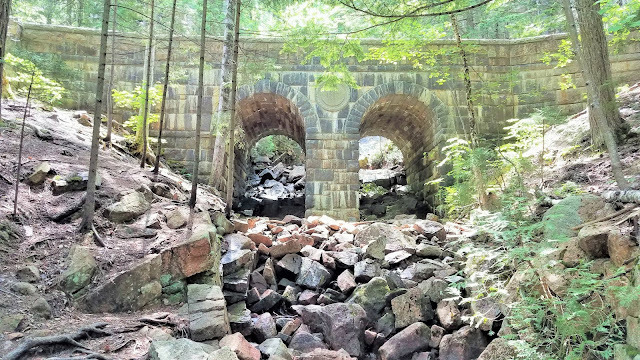 It opened around 1880 and was operated by Allen Granite Company of Mount Desert, Maine. 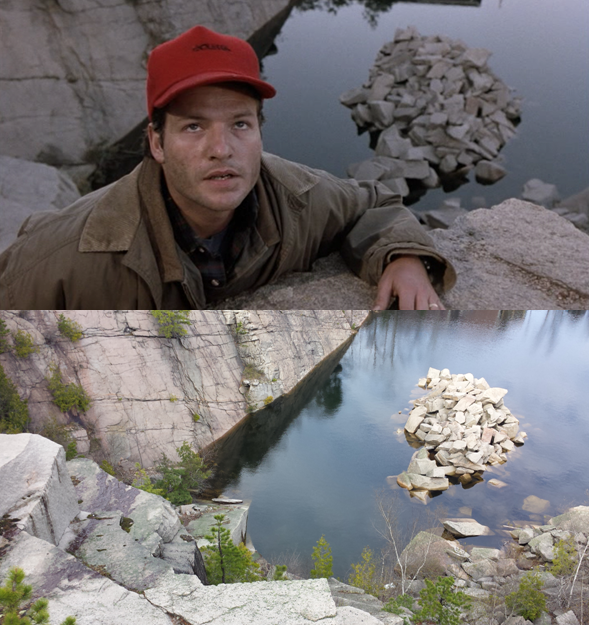 When I visited, every single rock in the quarry looked identical to how it was in the film. 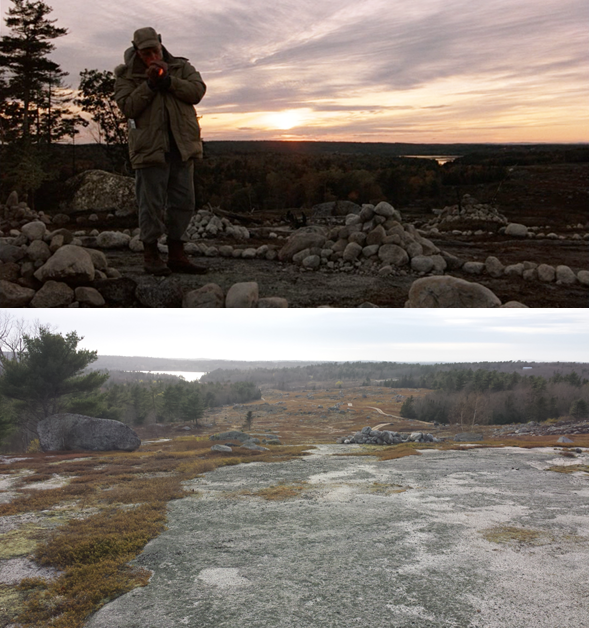 Located at the highest point of an old blueberry field, of all the location's I visited from the film, this was my favorite. 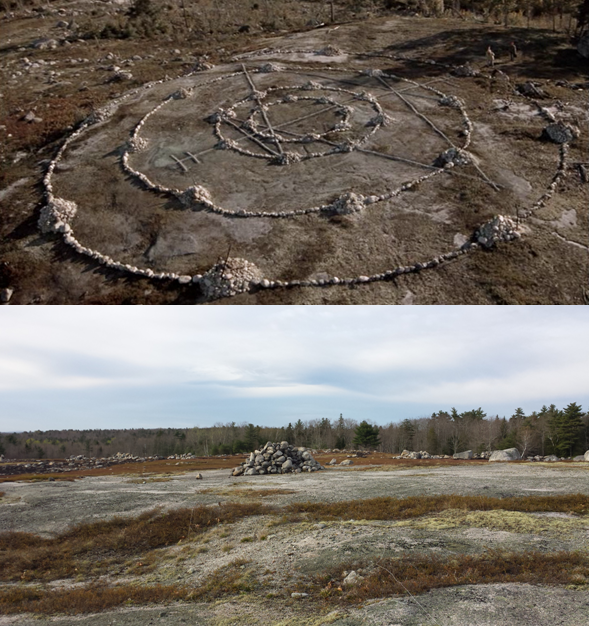 For the movie, the filmmakers had a bunch of large rocks white-washed and then they situated them into the circles and piles that you seen in the movie. 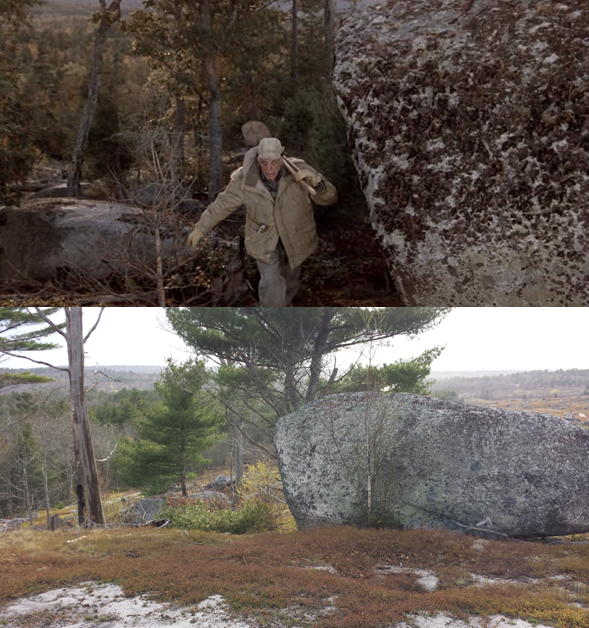 While there were large piles of rocks at the location when I visited, I'm not sure if any of them were the one's seen in the film or not. 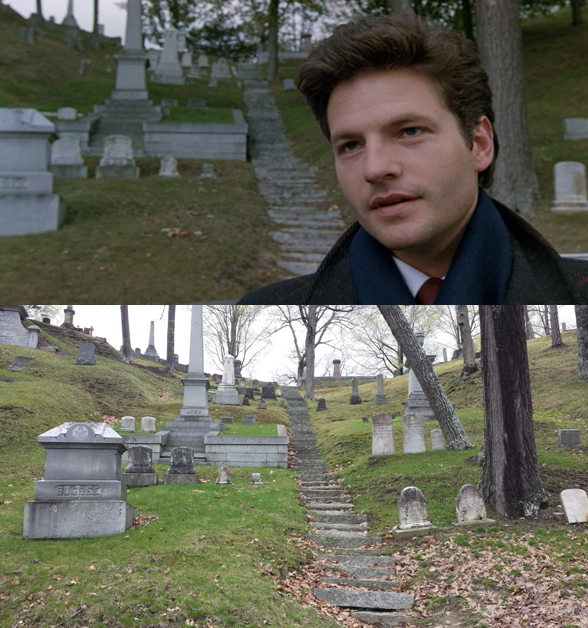 And like the film, the spot of the burial ground really was solid rock and would've been extremely difficult to dig into. It's about a half mile walk uphill from the main road to the exact spot and unless you're driving something that has four wheel drive, I wouldn't even attempt to drive up the rough and rocky road. Cold Brook Energy Inc. is an oil refinery that was established in 1986. The white house seen across the street in the film burned down in early 2017. 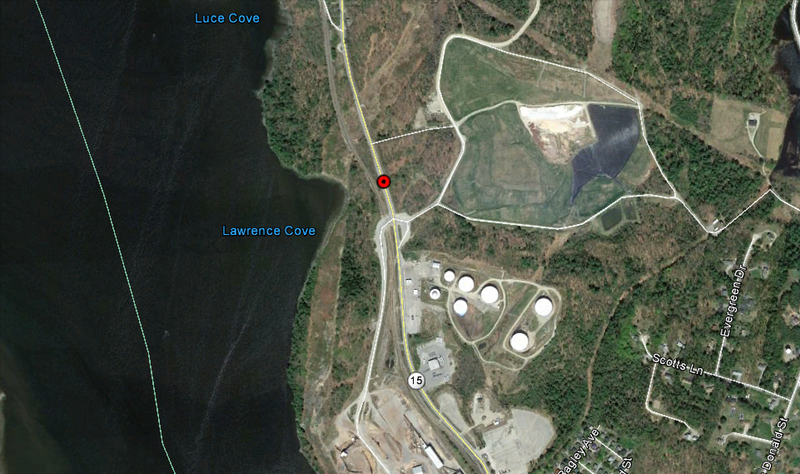 The truck is driving north on River Rd. with smoke stacks from the Verso Paper Company visible in the distance. 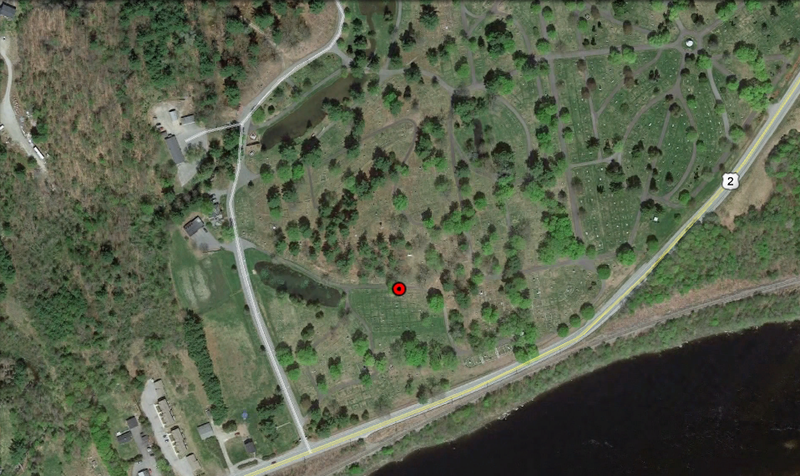 The cemetery was built in 1834, the same year that Bangor was incorporated as a city. Designed by architect Charles G. Bryant, it's the second oldest garden cemetery in the United States. It was added to the National Register of Historic Places on December 4th, 1974. 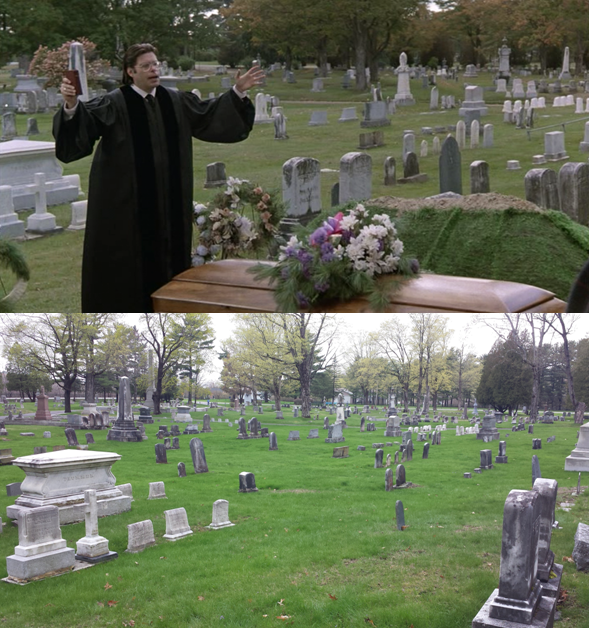 The cemetery was used for Missy's funeral as well as when Louis returns to dig up Gage. 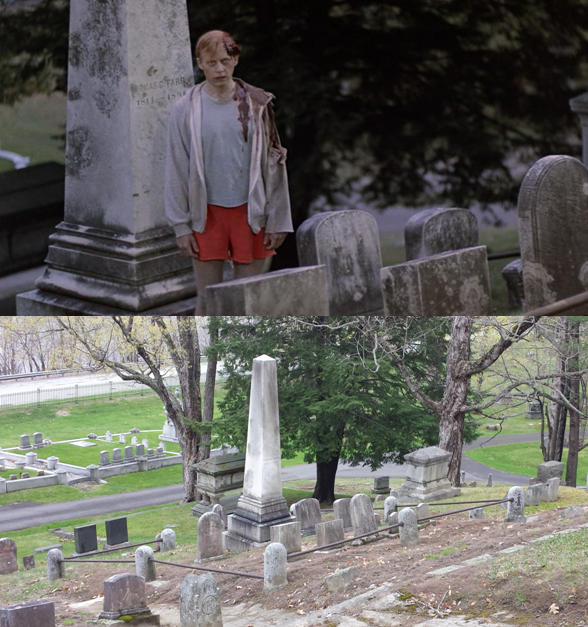 All of the scenes in the movie were filmed in the southern portion of the cemetery. Rumor is there is an accompanying video? Yes Shane Roth, here's a link to the video you're referring to. 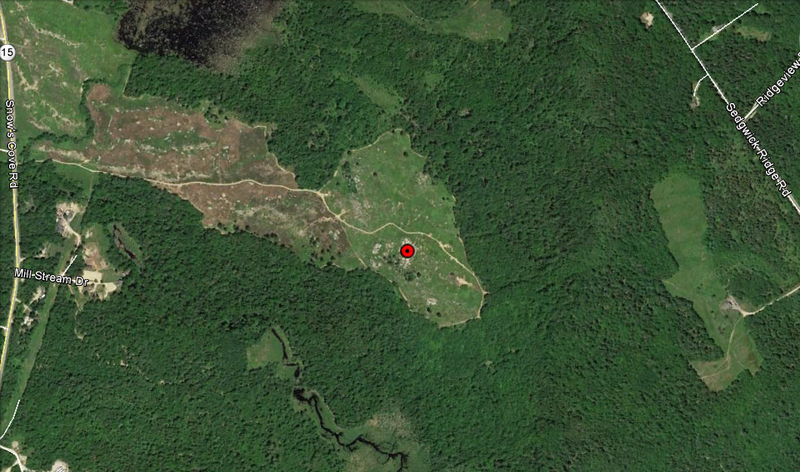 Which granite quarry was it?